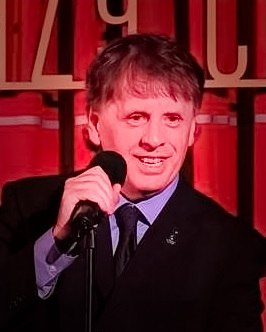 He has performed in many top venues including The Bloomsbury Theatre in London's West End, St James Church, Piccadilly, London, The Grand Theatre, Wolverhampton; The Marina Theatre, Lowestoft; Winston Churchill Theatre, London; Watersmeet Theatre, Rickmansworth; The Minack Theatre, Cornwall and Opera Holland Park. His TV appearances include The Bill and One Foot In The Grave and pantomimes including Jack & The Beanstalk and Aladdin. In recent years, Geoffrey has sung as a Tenor Soloist with the renowned company Not Pavarotti at events including the Mole Valley Arts Festival. Future engagements include the role of Monostatos in the Magic Flute at St. James Church, Piccadilly, London. His Repertoire includes Songs from the Musicals & Movies, Famous Opera Arias, Jazz Standards from the Great American Songbook, Contemporary French Songs and Popular Songs from the 1960’s to the Present Day. He is a member of British Actors Equity. The Show Reel was recorded at a Studio Theatre in London and features short selections from one of my 45 minute sets.